Edit: A short video was posted online. Edit 2: Added a picture shared on social media by Sean Pertwee. Edit 3: Another video can be seen below. 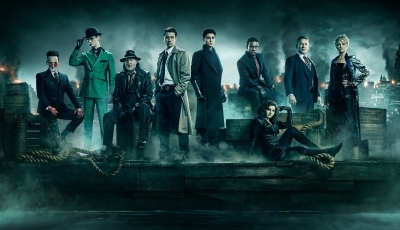 New video of the #Gotham cast and crew celebrating the show's 100th episode (December 10, 2018). Edit: The pictures have been replaced with HQ, untagged versions (thanks to the official Twitter page of the show FarFarAwaySite.com). Thanks to Tom Calderone for the tip!